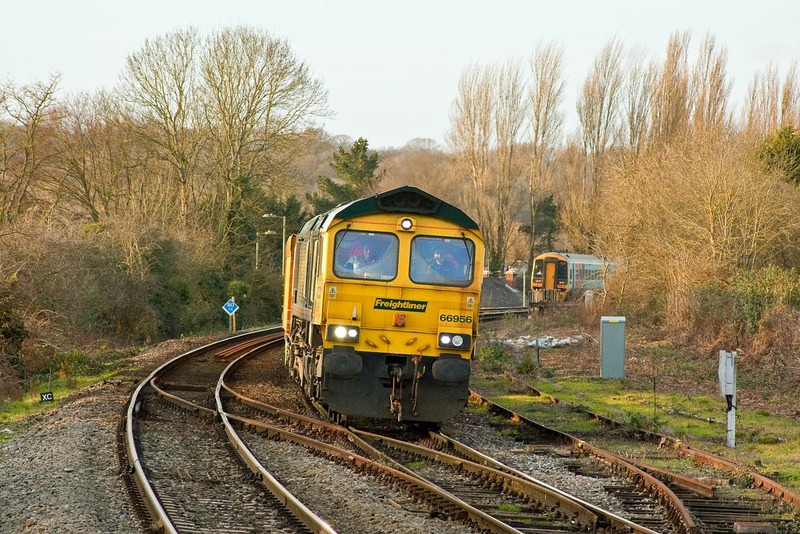 66956 approaches Romsey with 6O26 10:50 Hinksey - Eastleigh, which ran via Melksham. Gunwharf Quays vinyled 158798 receding in the distance. The train left Hinksey 1 hour late, and was 103 minutes late at this point. EMD 20078922-009 of 2008 owned by Beacon Rail Leasing. 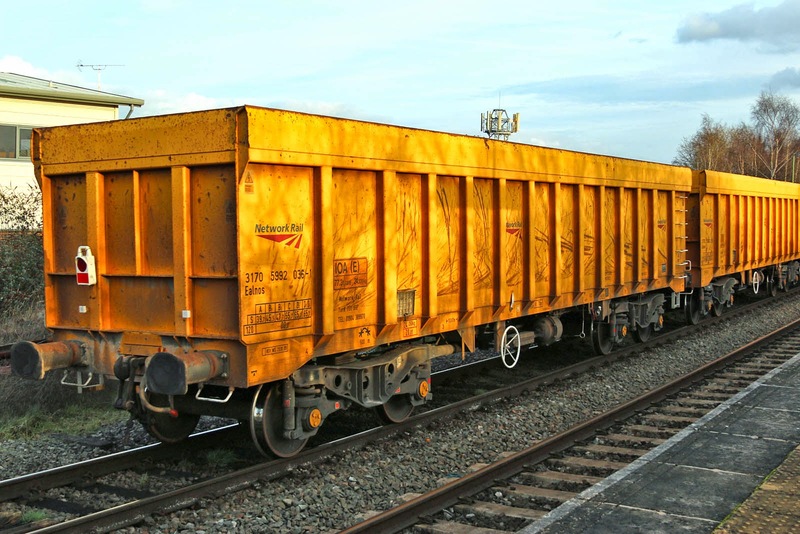 3170 3992 036-1 is an "Ealnos", deployed as a virtual quarry box wagon. Believed to have been constructed by Greenbrier in Poland from 2009. 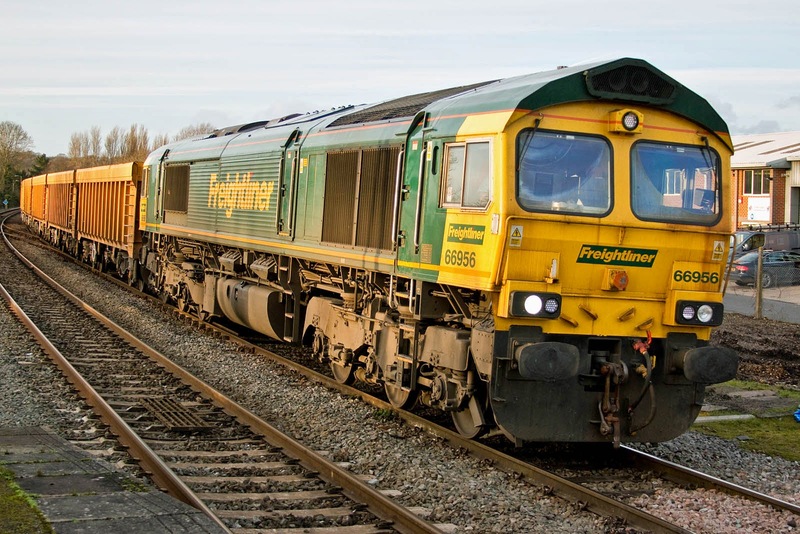 GBRf Railvac workings - since these are operated by modern Class 66 traction, 66743 + 66746 initially, it isn't intended to cover them here, unless something remarkable occurs. DCR was fun while it lasted, here is Justin Foulger's tribute video. Class 800 - en route to Southampton?